I believe that there is no other name to fit better these spools! Simply because they give no limits during a strong fight! But this is all? 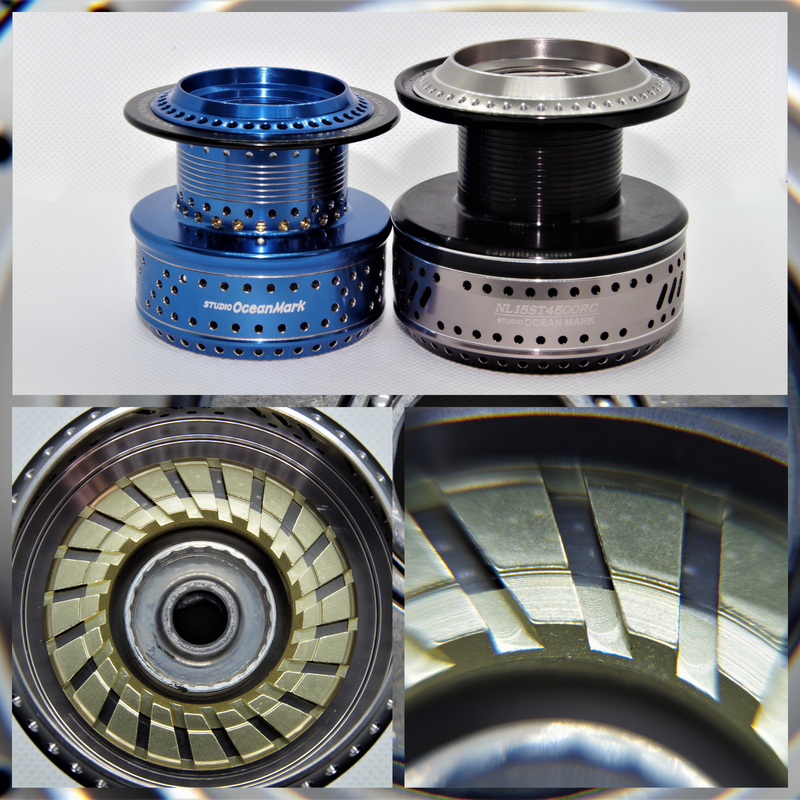 Today we are going to take a closer look on these special “after market” custom spools that really push the durability and quality many levels higher! First of all let’s analyze for what reason should we buy and fit these spools on our reel. 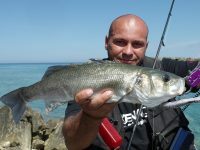 For example DAIWA spools on High end reels are not good? Hmmm Tough question! Or not? For sure spools on High End DAIWA reels are of ultimate power and strength and of course reliability! But when a reel is designed by a company, the final cost is always in mind. And for high end reels, when the final cost is already too high, some things stay more simple and always reliable. Now let’s see another example. Let’s say you are buying a brand new sport model of Mercedes Benz. For sure Mercedes have made sure to give these sport cars perfect breaks etc. But there are after market companies like Brabus who are specialized to give even more performance to these special cars, always with the adequate cost. This is what SOM does for your precious reel! Let’s talk about the innovations that make No Limits Custom spools without limits! UP: Size 4000 and 4500 comparison! DOWN: The famous SOM radiator system that is built in, under the spool! 1) Each spool has a built in radiator unit similar with the one we know on cars. That radiator has an amazing heat transfer from the spool to the air! This innovation has grown the reputation of Studio Ocean Mark worldwide and made these spools the number one choice when you are going for the monsters of the sea. UP LEFT: The drag socket as it is. UP RIGHT: The waterproof protection O-ring of the drag socket! 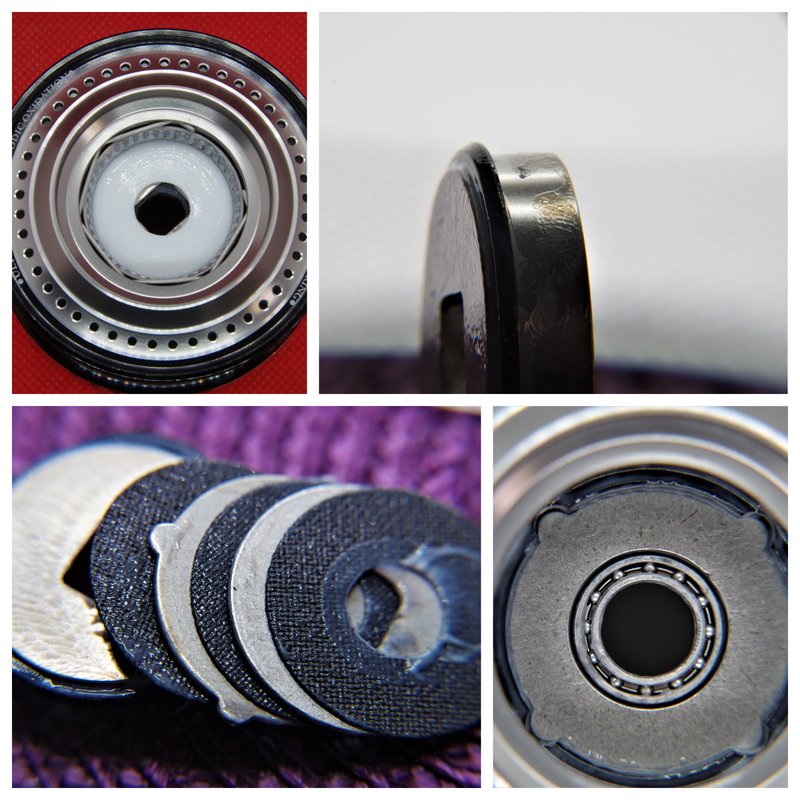 DOWN LEFT: The washers of the drag system with high performance grease, DOWN RIGHT: Stainless Steel Ball Bearing at the end of the socket! 3) Scandium is a very hard chemical element that covers the lip of the spool. This material gives an amazing slippery surface, eliminating friction and static electricity, giving a boost to your cast. 4) The Oval Shaped Scandium Spool is another innovation by SOM, featured on the new models. When I saw it for the first time, I stayed with mouth wide open! SOM did something very unique here, that boosts even more casting distance. 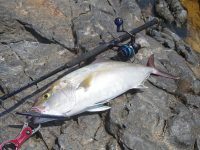 PE line often has trouble such as wrapping on the guides as well as backlashing during cast. SOM was able to correct this problem with this new design that is something you will not see on other spools. The end of the lip is divided in four segments with different lip ending. Each side is same with the one against it. So the two sides are like normal spool lips and the other two are like they have been cut. This is serving us with two ways. First and very important is that during cast, the PE is touching ONLY the two lip endings, which means the normal friction is reduced by 50% compared to other spools!!! This gives a hell of a kick to our casting! The second thing is also very useful and is the shape of the PE that is exciting the spool is somewhat more oval rather than round and this helps to reduce backlashing and guide tangle issues! 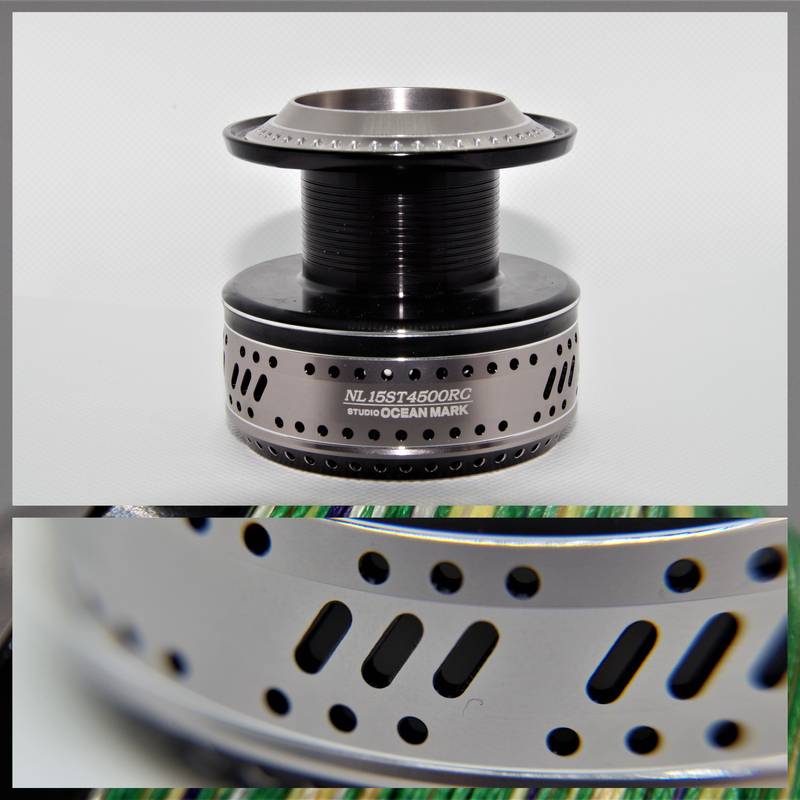 5) The spool is made from highly anodized and reinforced aluminum grade that is totally corrosion resistant! On the body are placed many small holes that reduce weight and increase heat transfer from the spool to the air! UP: The max level of PE braid. DOWN LEFT: The scandium lip. DOWN RIGHT: The innovative cut on the lip! Evolution in spool by all means! Now some of you might want to ask themselves “Do I really need all these evolutionary results? Are they useful to me?” Allow me to answer you by my experience! If you do not plan to catch a tuna every other day, not! But the same goes for the guys that add Brabus breaks to their cars and they never get in a race. Don’t forget that we are just big boys and we love our toys! 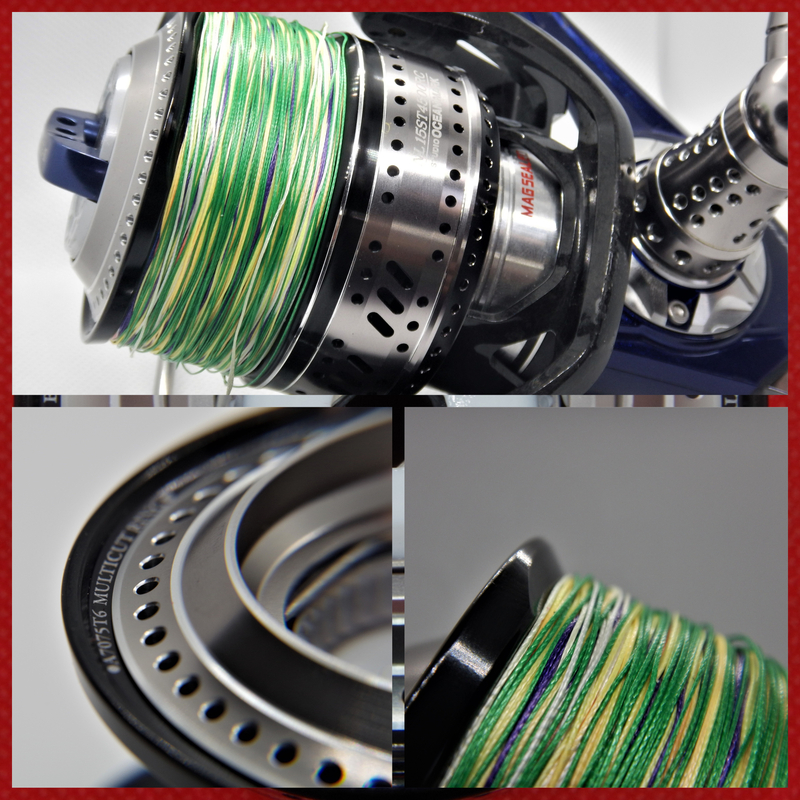 So a high end reel, with a good looking and super engineered custom SOM spool is an ultimate combo that you love to fish with! 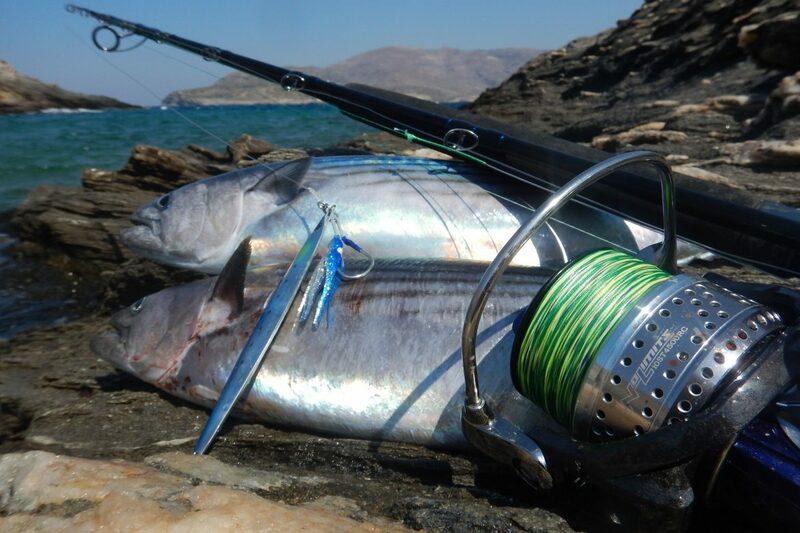 Now, in case that you get in the situation of fighting an unexpected big fish, like a tuna or an amberjack, then you know that you will not be failed by the drags of this spool! Simply because there are “No Limits”! 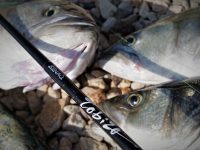 Conclusion: SOM is a very strong suggestion for the ones that really want to extract the best from their reels! 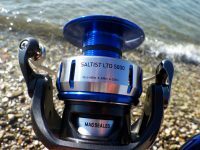 There are different sizes of spools to fit for all sizes of Saltiga reels and also Catalina, as well as on the smaller sized reels like Morethan, Certate or Exist!